We have an employee who I will keep anonymous who we affectionately call "Five-Hour Energy". He tirelessly works through some of the most physically demanding jobs at the bakery. I'm continually in awe of his work ethic and stamina. When I need five hours of hunger-free energy, I use Chef Matt's Falafel. 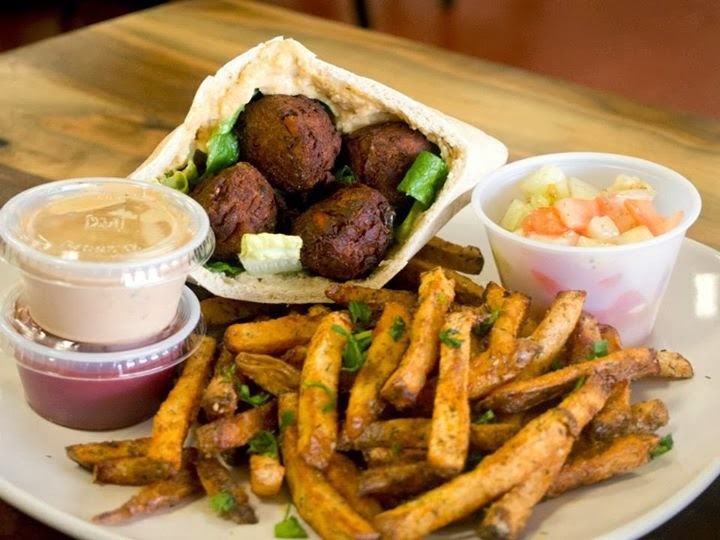 Under the guise of the humble ground garbanzo bean, Matt's falafel is a energy bomb of proteins, complex carbohydrates, and fiber. After that sandwich drizzled with tahini sauce and the requiste amount of crunch from fresh lettuce -- all packed into a hummus-schmeared pita, I feel like my workday is now completely powered up.